Following the Federal government's decision to probe Aero Contractors Nigeria Ltd for making passengers disembark from a flight using a ladder ,the airline on Monday, shedmore light on the incident at the Abubakar Tafawa Balewa International Airport, Bauchi State, on Saturday. Speaking to newsmen in Lagos, Captain Russell Foon, acting Managing Director, Aero Contractors, explained that ,the aircraft was chartered by a group of young people, including a groom from Abuja, to attend a wedding in Bauchi on December 19.He stated that , the airline contacted the airport manager, who confirmed availability of the airstairs and the cost of the services. Upon landing and after waiting for over 10 minutes, the airport management informed the Captain that the airstairs had just broken down and the fire services were trying to sort it out. "After waiting for another five to seven minutes, the passengers became furious as they were getting very late for the wedding ceremony. "The captain went to the cabin and explained to them that he might have to take them back to Abuja as they cannot disembark due to lack of stairs. "The people insisted that he cannot keep them on board the aircraft and he considered that their anger was becoming potentially threatening for the five-man crew to take them back to Abuja." Foon said that the captain, against his wish, thereafter permitted them to disembark, using the ladder provided by the fire service in order to reduce what he thought was a volatile situation. 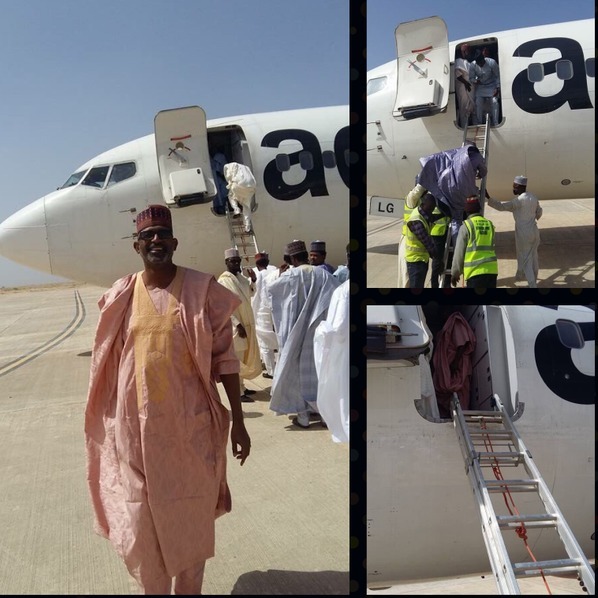 He noted that the airstairs was later repaired and was used to board the 104 passengers of the said aircraft on the return journey to Abuja. "Consequently, an investigation into the event has been called, the results of which could lead to changes in our operational procedures. "Following the findings of this investigation, it will become a part of our training and Crew Resource Management (CRM) re-currency training exercises. "The decision to perform any further charters into Bauchi is suspended on B737 equipment but we can consider charters into Bauchi on Q400 or Dash 8-300 aircraft. "Any future charters to destinations that are areas of scheduled commercial flight operations must have at least one permanent Ground Handling company on ground before we will consider," he added.